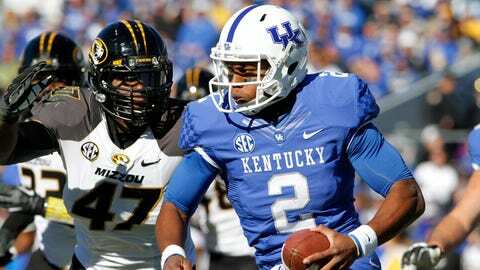 ARLINGTON, Texas — Missouri defensive end Kony Ealy is bypassing his senior season for the NFL draft. Ealy said Friday night after the No. 9 Tigers’ 41-31 win over No. 13 Oklahoma State in the Cotton Bowl that he felt it was time "to go on to the next level." An All-SEC pick, the 6-foot-5 Ealy had six tackles and two sacks in his final game, pushing his season total to 9 1/2 sacks. "I love my teammates. I love my coaches," Ealy said. "I’ve gone from a boy to a man here." He had 14 sacks in 38 career games for the Tigers.